In 2014, I was trying hard to partner with foreign business intelligence solutions providers. I contacted Tableau, Domo, Sisense and a few other BI solutions provider. They all gave me unfavourable conditions. A few wanted us to pay as much as $9,000 to become a partner. But there was one feedback I got from one that I'll never forget. I think it was Sisense. The executive that got back to me, during our lengthy discussion, told me that they also started out in early 2000s like us. They started as a consulting company and had to transition to a software solution provider to achieve scale after learning a lot about their clients' needs. Since that day I knew the consulting arm of my business is more of a probe, to help us detect client needs and the pain points we can build a software solution to address. 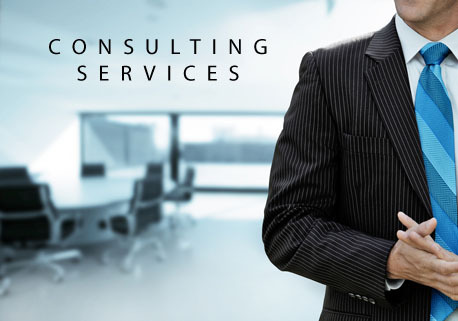 Consulting is a bodies-count type of business. To grow sales you need to get more bodies. To make what I'm saying clearer: Whatsapp grew from hundreds of users to over a billion users and guess how many employees they needed to hire to enable that growth? Dangote Cement, Nigeria's biggest company, is worth less than Whatsapp. Whatsapp has 55 employees. That is a company worth many many billions of dollars (forget about the $19 billions it was bought for in 2014, it is now way much more valuable now). Dangote Cement has thousands of employees. And a consulting company the size of Dangote Cement will need thousands of employees. Consulting businesses are terribly hard to scale. They are more suited for accountants, lawyers, tax professionals and business fields where you can't get a software to do the work. But in the technology field, where I play in, consulting is the low end of the game. More like an easy way to get in. But to make any significant progress, you just have to build a software product and sell en masse. People often say hiring more people, as long as the revenue they will bring in is more than what it costs you to have them around, solves the consulting problem of scaling. Wrong. The huge mental overhead of managing lots of consultants take decades to handle. That is why KPMG, PwC and Deloitte are still leading their industry. You can't just get in today and get it right in a few years. You can't scale by just adding employees. That is just one tiny piece of it. It's a lot harder to get them to do meaningful work all the time and generate substantial revenue. You'll Win Some; You'll Lose Some.